IMPORTANT: download and test LITE version, and make sure it works BEFORE buying this PRO version. 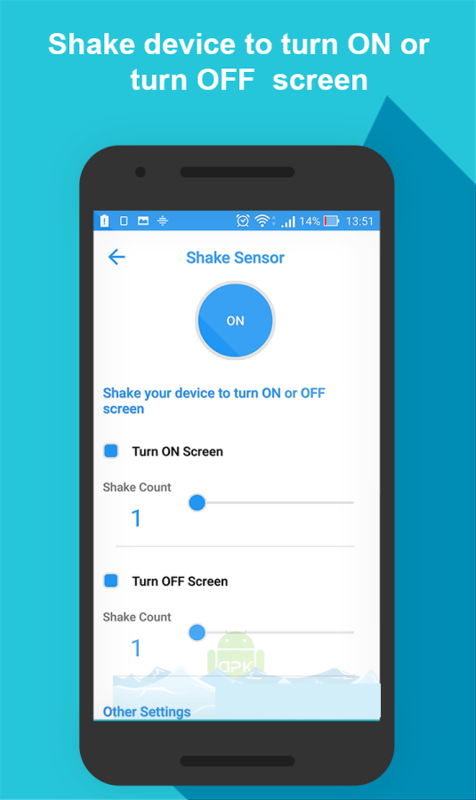 (Light sensor combo works great with recent smartphones like Galaxy Nexus; Light sensor combo could not work good with old smartphone, because the built in sensor is of poor quality). 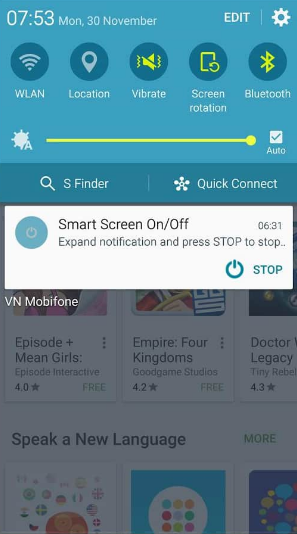 If you use Task Killers or Memory Cleaner, remember to add Smart Screen Off to exceptions! 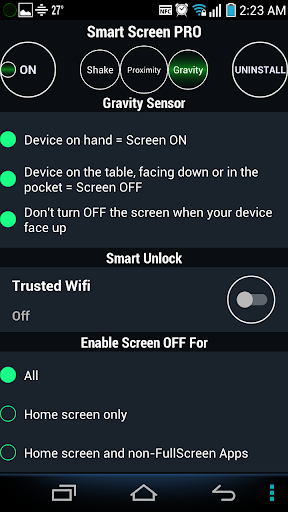 Set ring to vibrate mode when proximity sensor is covered.